We&apos;ve been skiing at Solitude Mountain for a decade. I truly believe that learning to ski at Solitude Mountain is a gift you will give your child for a lifetime. This gem of a resort is the perfect place to fall in love with skiing (or snow boarding). No lift lines. Not a crowd in sight. It&apos;s about getting out in nature and spending time with family. This was our seventh trip to #findsolitude, and I was thinking of ways to make my coverage fresh, and I thought a top 5 list might help! 1.) The instructors are kind and incredibly well trained. I cannot rave enough about how patient and sweet they are. Trying to teach your own child to ski isn&apos;t easy. Leave it to the pros at the Solitude Snow Sports Academy. 2.) Safe secure learning environment. The bunny slopes at Solitude are cordoned off from the rest of the hill. Newbies can learn in peace without getting mowed down. Children will start from the Moon Beam base area. The Link Lift is a dedicated learning environment and Easy Street is the just-right place to get comfortable. 3.) Intimate setting. Solitude has a reputation as a "locals" mountain in Utah. This means the crowds are in check. 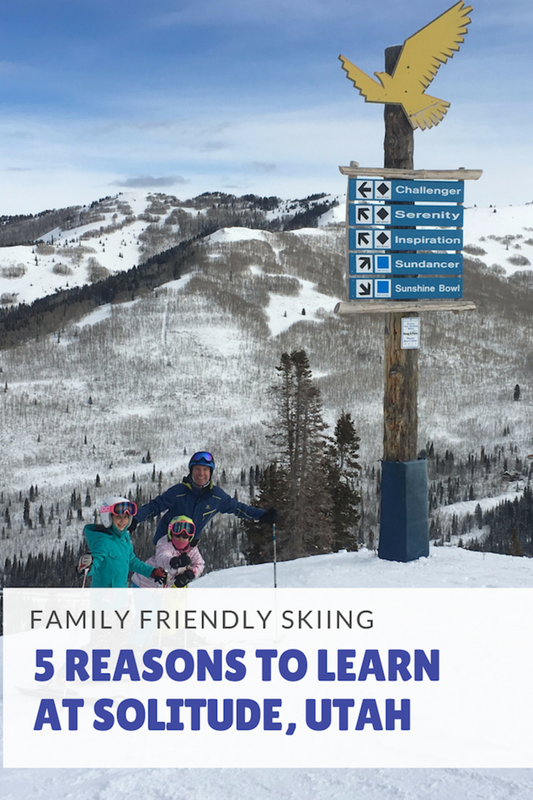 Lessons won&apos;t get enormous (like that time we had our kids in ski school at Snowmass with 799 other kids—that is not an exaggeration). 4.) Powder. I&apos;m going to say it. And I&apos;m a NYC girl who goes to Vermont ALL THE TIME... learning to ski out East stinks. It&apos;s icy, cold and the lift lines are longer. Did I mention ice? Learning to ski on powder is just awesome. It doesn&apos;t hurt to fall, it&apos;s actually fun to fall. And remember, if you aren&apos;t falling, you aren&apos;t trying hard enough. As I write this, on February 10, they have already received 304" of powder! 5.) The setting. Look at these views? Solitude is tucked into a pristine, beautifully maintained canyon. It&apos;s like being dropped into Anna and Elsa&apos;s world. If you don&apos;t find the charm here, skiing probably isn&apos;t for you. Located in Big Cottonwood Canyon, Utah, the resort is spread over 1,200 acres. It&apos;s the spot to get metaphorically lost with your family. This is the spot to unplug. 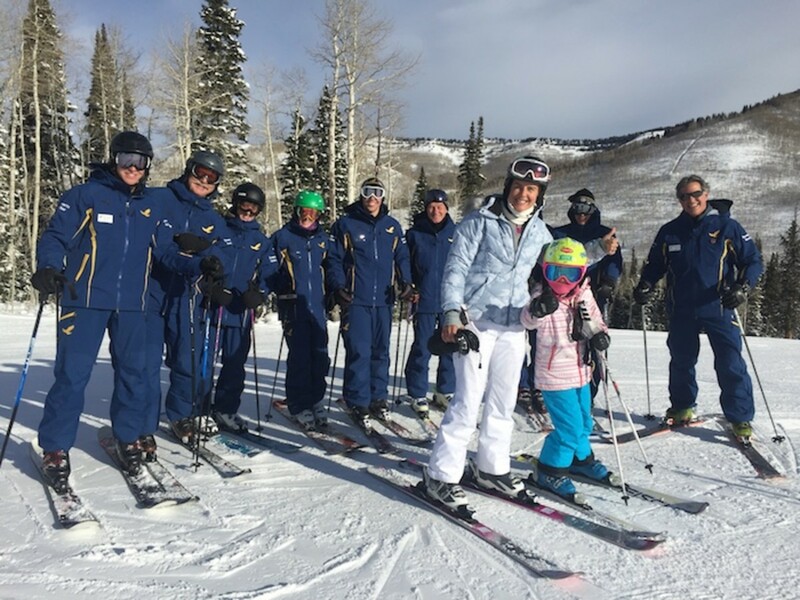 Our first daughter was just 18 months old when she first skied at Solitude. The instructors took her out as a part of the Play Academy. Children as young as two months old can safely join the on-site daycare. It is a clean, warm licensed facility. If they are willing, an Academy member will bundle them up and tug them around on skis. It&apos;s gentle, and safe. Our girl wasn&apos;t hooked immediately, but she didn&apos;t hate it either. 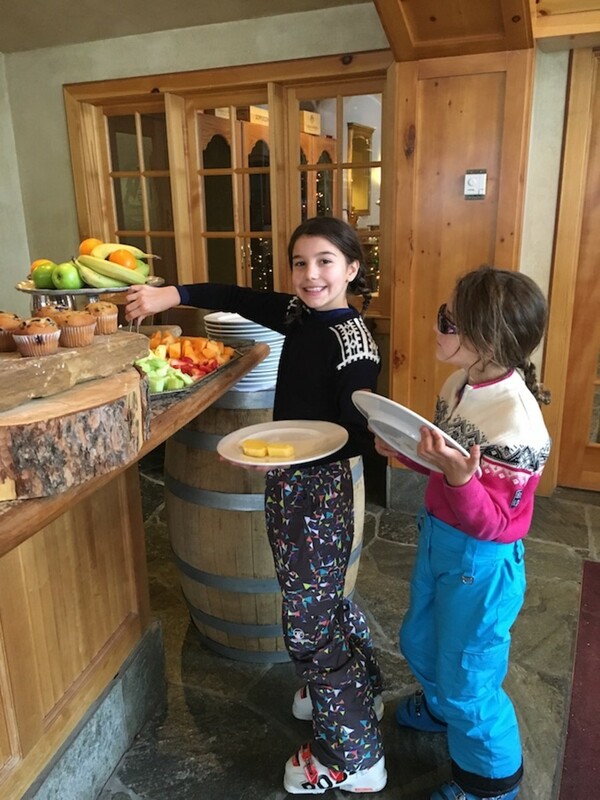 They mixed play with skiing and offered plenty of praise and rewards. It&apos;s really close to the airport. 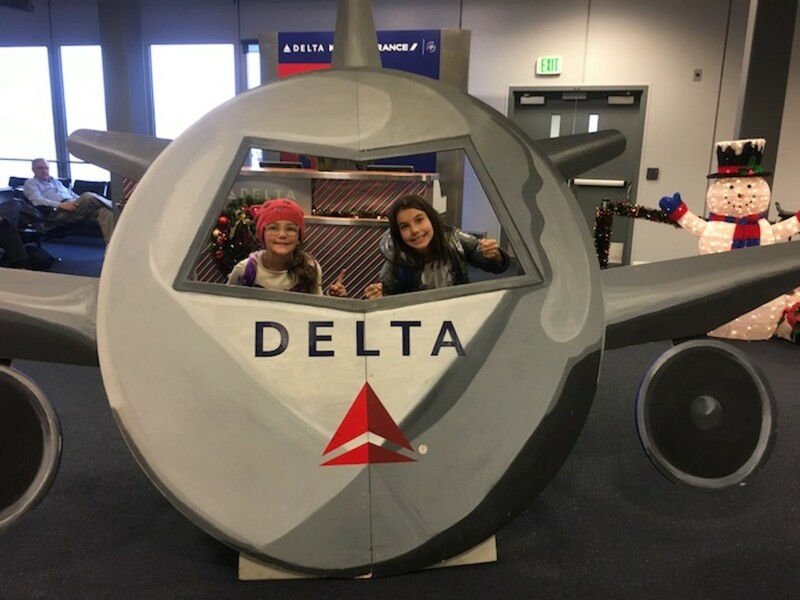 Delta flies direct to SLC and we can be up at the resort in about 40 minutes after we load our gear into a shuttle (TIP: You don&apos;t need a rental car at Solitude—everything is walkable, or you can hop on a shuttle). Since Solitude is now run by Deer Valley, you can also get a great rate on a shuttle and lift pass to go ski there for the day. The staff just rocks. 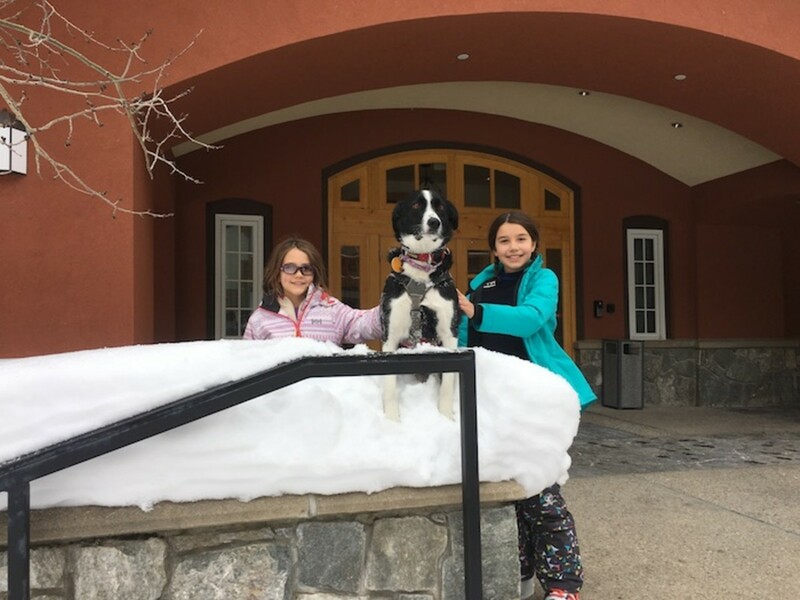 We met a member of the ski patrol in the small village and befriended his patrol dog. He got the pup all set up for this photo. Everywhere you go—from restaurants to ski school to the rentals, people just want to help you out. The condos in Solitude Village are very well-appointed and perfect for dining in. 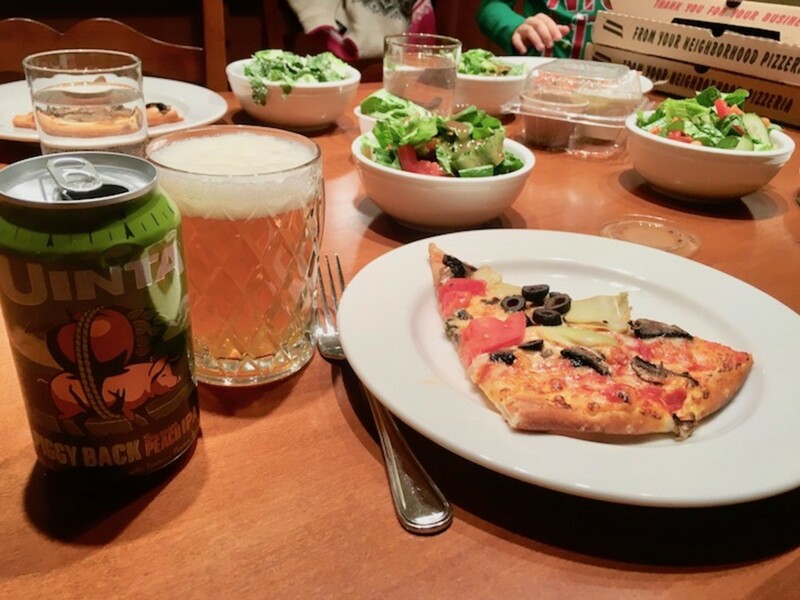 But sometimes a ski mom needs a night off. I suggest a pizza from Stone Haus. Tucked into the center of the village, the kids love this spot. You can pop in for ice cream or a yummy breakfast burrito, but I suggest the pizza too. Customize what you want and grab a few Uintas to go. Add a few salads and you&apos;ve got a hearty dinner. Pop in a movie to your DVD player (you can rent movies at check-in) or play some old-fashioned card games and you&apos;ve got the perfect family night in. You should also head to the Inn at Solitude. You&apos;ll find a great spa here, the Library Bar and St. Bernard&apos;s. St. Bernard&apos;s serves breakfast and dinner. I suggest the hearty buffet breakfast. Load up on baked goods, fresh fruit, eggs and all the grilled items you can handle. Our girls loved it. This is not a sponsored post. Accommodations and lift tickets provided to facilitate the review.